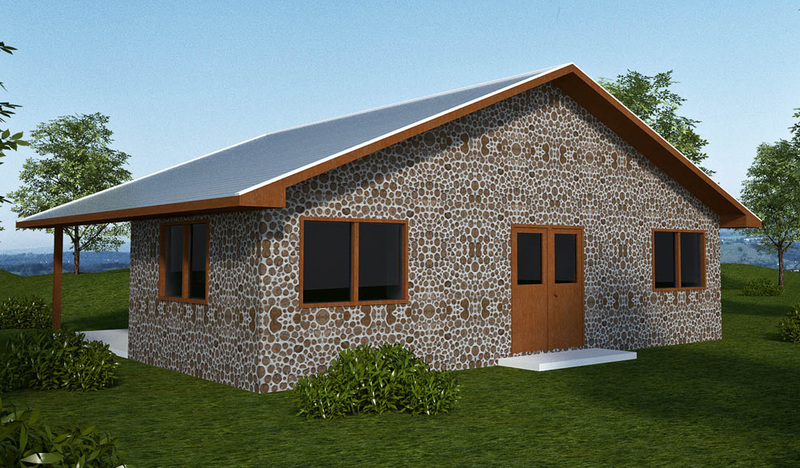 Description: This simple yet practical home plan is shown with cordwood walls. The same house can be made with earthbags, straw bales, adobe, stone and other materials. I’ve always been interested in cordwood building. could you go halfway up w/ earthbags and do the rest with cordwood? will it be structurally sound? Yes. Combining materials often leads to better results. In this example, you’d have gravel bags on lower courses for better moisture protection, plaster on the lower part for visual contrast and moisture protection, and cordwood on top. Or you could fill lower courses of bags with scoria or pumice for greater insulation and put cordwood on top. There are many options. 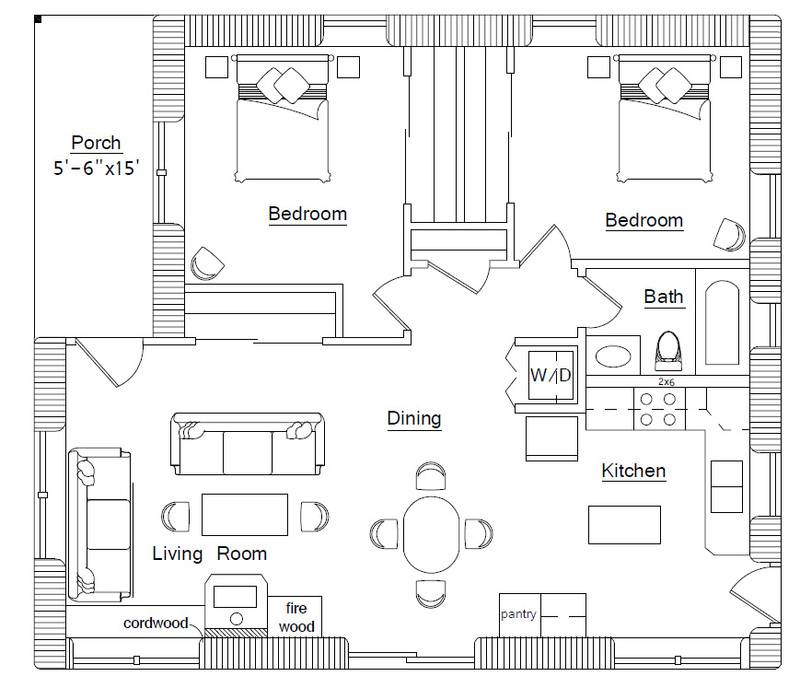 love this little plan. just wondering do you vent the dryer through the roof or floor? Thanks. Go through the roof and vent to the exterior through the soffit. I absolutely love this design! I was wondering if earthbag homes can be built in wetter climates, such as south eastern Oklahoma? If I built this w/ earthbags all the way up for the walls, would they be stable or need to be supported somehow against horizontal stresses? No problems. Thousands of people are building this way. About how much would a home built this way cost? How would i get the blue prints for this house?? Email me: natural houses [at] gmail dot com.